At some point in every young guy’s life, they deserve to own a sports car. Especially me, it’s just right. I like to go fast. I also like fast cars. As a little boy, I was bitten especially hard by the speed bug. Whether it was riding my bike at breakneck speeds or finding a steep hill to skateboard down, all I wanted to do was to go fast. Luckily for my posterity, my parents were too poor for any machines capable of reaching devilish velocities. By the time I learned to drive behind the wheel of a 15-passenger van, the gruesome driver education videos had put a slight damper on my dreams of speed. But everywhere I looked, I saw people with fast cars and deep down I knew I had to have one. When I bought my first car, a Chevy Impala, it wasn’t fast. My next car, a newer Honda Accord, was a little faster and I liked it. Although it wasn’t the car of my dreams, I planned to pay it off and drive it to its last gasp. But I think Fate pitied me, because a few weeks ago my parents called me about their car troubles and how they were having difficulty finding a car to purchase. My uncle made an off-the-cuff remark to me about me selling them my car, and that remark turned into a well-executed plan. 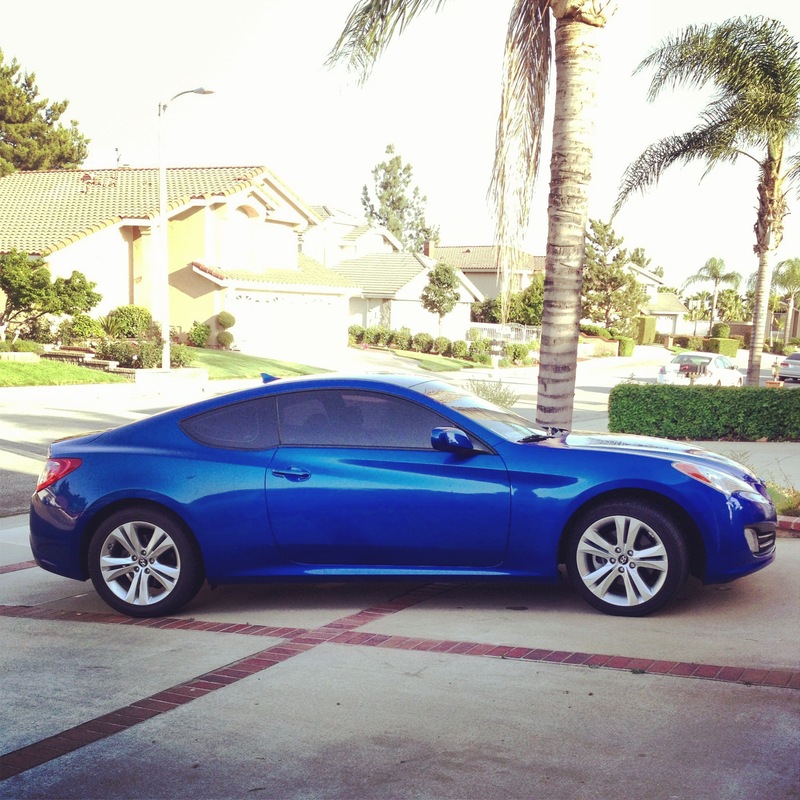 Three weeks ago, my parents purchased my car from me, and a few days later, I was grinning from ear to ear behind the wheel of a blue Genesis coupe. I no longer feel like I am going to miss out on an important chapter in my life. Why? Because there is finally a sports car in my life. I will not argue with you that this car was purchased for a great time. I will not disagree with you that my ulterior motives were to own a fast and cool car. But since I must have a car to commute to work and school, why not drive a car that is fun? I am content with my new car. My friends lament the loss of the roomy Accord that let us all pile in and head out for a good night. Yet, when they complain, all I have to do is hand them the keys to the Genesis Coupe, and harmony is restored. I can tell by the lit up face, that they appreciate my choice. In the foreseeable future, I believe I will become quite the philanthropist with annual and generous donations to local law enforcement agencies. I’m just that kind of guy. No thanks needed. About 15 years ago, I bought a 1997 Trans Am…the one that looks most like the Batmobile. Sitting in the driver’s seat of that car centered me. Starting her engine made all my problems evaporate. I miss that car more than is probably healthy. The sound of a powerful engine is quite therapeutic, especially when you’re the one controlling it. It’s a really great experience. And, yes, a sizable savings account is a must. Thank you for reading.